Leading health organizations are partnering this World Diabetes Day to raise awareness that more than 1 in 3 American adults has prediabetes, a serious condition that increases their risk of developing type 2 diabetes, heart attack, and stroke. Despite its prevalence, nearly 90% of people with prediabetes don’t know they have it, and awareness is crucial since prediabetes can be reversed through lifestyle changes such as healthy eating and increased physical activity. November is National Diabetes Month, which means now is a better time than ever to consult a doctor, a local office, or a CDC-led National Diabetes Prevention Program about how to reverse prediabetes. 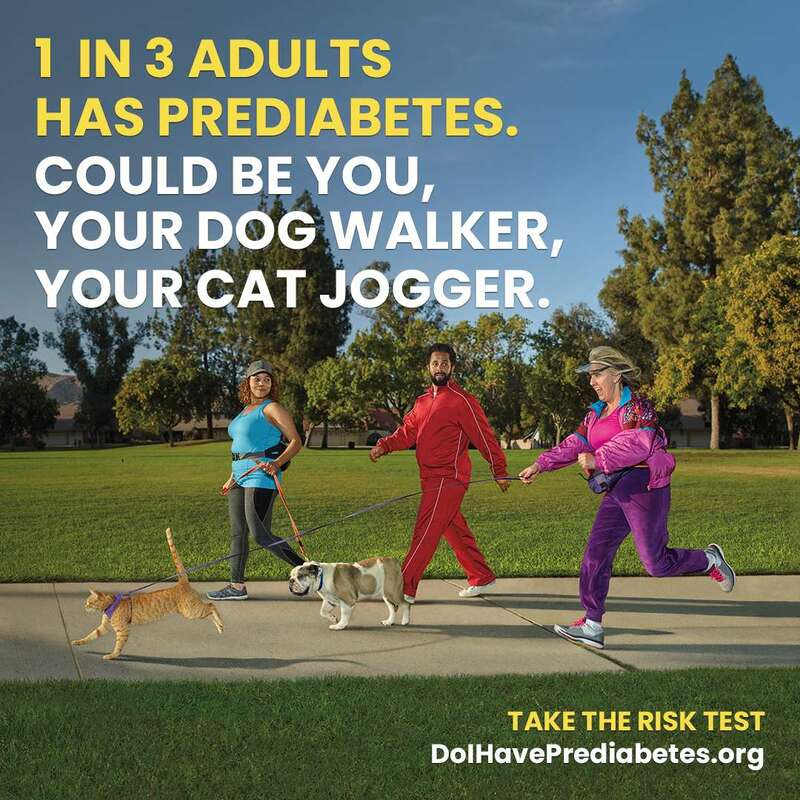 The American Medical Association (AMA), and Centers for Disease Control and Prevention (CDC), along with the Ad Council, have released new PSAs that build on the successful awareness campaign that has helped millions of Americans learn their risk for developing type 2 diabetes. The new, lighthearted PSAs run through humorous scenarios that highlight how the viewer and those close to them — whether it’s them, their boss, or their boss’s boss — are at risk of type 2 diabetes. The Heart Network is proud to lend its support to the campaign, which raises the alarm about prediabetes and emphasizes the positive message that prediabetes can often be reversed through everyday lifestyle changes. 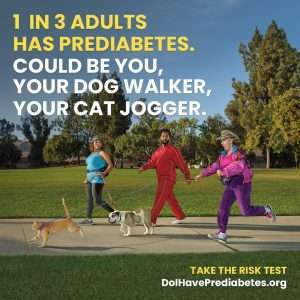 The campaign encourages people to take a short online risk test at DoIHavePrediabetes.org and speak with their doctor to confirm their diagnosis. The website features lifestyle tips and connects visitors to the National Diabetes Prevention Program. Prediabetes can often be reversed through weight loss by healthy eating and increased physical activity. Diagnosis is critical, as research shows that people are much more likely to make the necessary lifestyle changes once they are aware of their condition.